Enough rambling... gotta get back to work... I have lots of pictures from my recent trip to Florida so soon I'll post some. 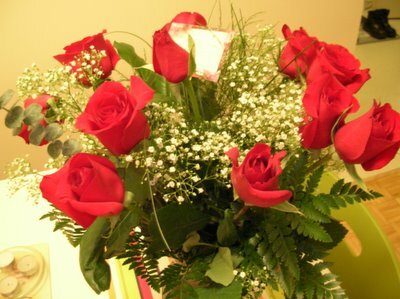 But for now, I have one picture to share, it's of the roses Steve sent to me at work for Valentines.... aren't they preeeetty?